A beautiful sphynx cat with blue painted flowers on its body. 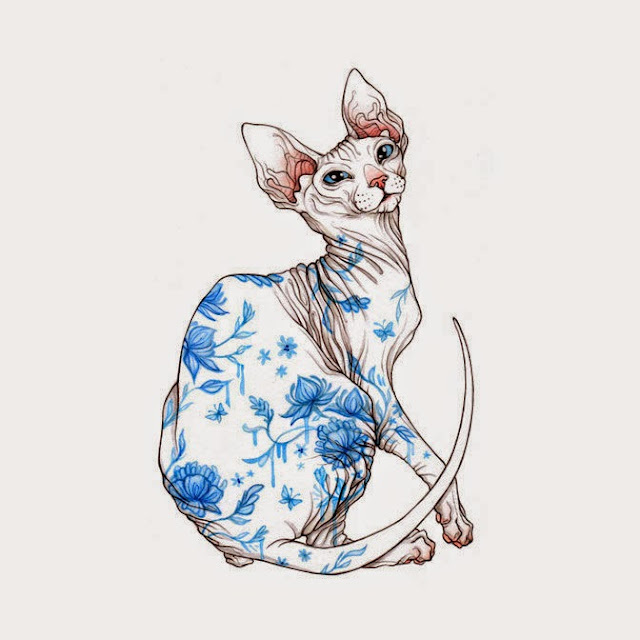 I love the details in this– its paws, the gradient of its ears, how the blue of the cats' eyes match the flowers... Nana Williams has also very effectively captured the spirit of the cat in this drawing. You can support Nana Williams by buying things off her Etsy page.